Tracks, Dashes, and Rigging Bars are the new thing in paddlesport rigging and fishing. However, in most cases you’re at the mercy of the boat manufacturer as to which track, dash, or rigging bar that you can install. We are proud to release the new Railblaza TracDash 900 – a universally compatible dashboard track for kayaks, canoes, and SUPs due to its Tri-Adjustability Feature. With adjustable positioning in three different areas – width, base positioning, and angle – the TracDash 900 gives the paddler a diverse range of rigging possibilities. Unlike kayak manufacturer specific dashes or bars, the Railblaza TracDash 900 can be adjusted to fit across the gunwales of any kayak, canoe, or SUP ranging from 20 inches to 34 inches in width. This adjustable dash also allows you to install the dash at any point from bow to stern on your kayak instead of being limited to the manufacturer’s strict requirements. The TracDash 900 from Railblaza operates off of the highly reliable and easy to use StarPort Base system featuring a slide locking mechanism to confidently lock, remove, and retask the Railblaza accessory. While operating off of the StarPort Bases, the TracDash 900 sports 4 Railblaza StarPorts along the top track, allowing you to have 4 Railblaza accessories installed on the dash at any time. Versatile enough? 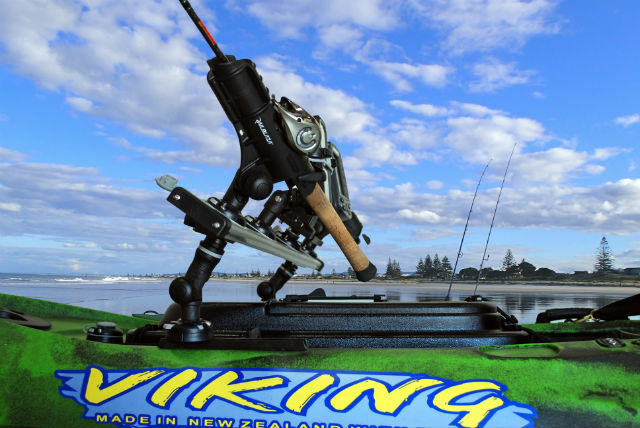 The Railblaza StarPort Bases on the TrackDash 900 are also adjustable in their positioning, allowing you to position them where they fit your angling, paddling, and rigging styles best. Interested in having three accessories on your right and one on your left? How about 4 evenly spaced? Customize your placement exactly how you want to! View the complete line of Railblaza compatible accessories HERE. 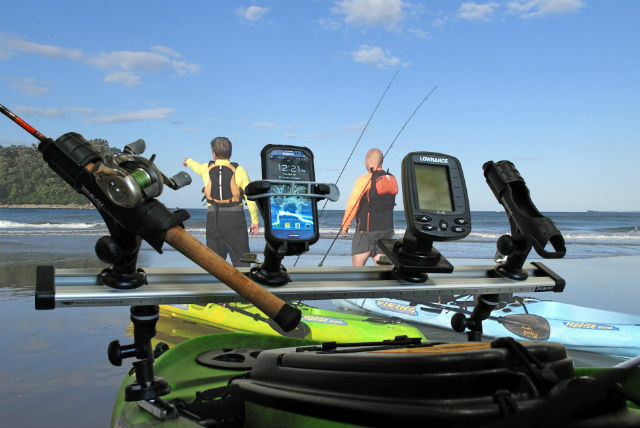 On top of adjusting based on width to fit your boat and adjusting the bases on the track based on your paddling/fishing styles, the TracDash 900 also adjusts back and forth off of a Railblaza Adjustable Extender system to allow you the best access to your accessories. As another way of customizing your rigging, the adjustable angle of the track can come in handy when viewing electronics in different lightings, choosing to position when anchored vs. paddling, and landing big fish. The TracDash 900 comes as a complete kit including all of the parts and hardware necessary for installation. As an added bonus, the TracDash 900 also comes equipped with a 30-inch ruler mounted to the front of it for quick measurement of landed fish. Interested in learning how the TracDash 900 fared with our friend Jerry Hamon from Mariner Sails, read his Railblaza TracDash 900 Review. We want to know what you think about the new Railblaza TracDash 900! What are some ways you could use this on your next kayak fishing trip? Tell us what you think! Comment below, reach out to us at socialmedia@yakgear.com or find us on Facebook, Twitter, and Instagram using the #YakGear hashtag!